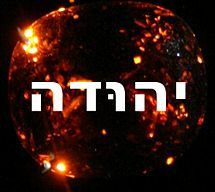 Jotham (Hebrew: יותם, Yōthām; Greek: Ἰωαθάμ, Iōatham; "Name means::YHWH is perfect") (783 BC-vr. 768 BC-r. 759 BC-742 BC according to Ussher, or 775 BC-vr. 750 BC-r. 740 bC-732 BC according to Thiele) was the tenth king of the Kingdom of Judah in direct line of descent. His reign is notable for a significant military victory but also for the beginning of a defensive war against Syria and the Kingdom of Israel. He was the son of King Uzziah and Uzziah's wife Jerushah. His father was either 43 or 34 years old when he was born. His wife's name is not recorded in the Bible. When he was twenty-one years old, he had a son named Jehoahaz, or Ahaz for short. The time references given in the Books of the Kings indicate that Ahaz sired his own son, Hezekiah, when he, Ahaz, was only eleven years old. (This presents a problem for the Thiele system that might indeed be insurmountable: if Thiele's numbers are correct, then Ahaz sired his son when he, Ahaz, was but one year old!) Jotham most probably arranged a child marriage between his son and Abi or Abijah, the daughter of Zechariah II, who was high priest at the time. Why he so acted, the Bible does not say. Had he not so acted, then he might not have had the opportunity to arrange such a match with a high priest's daughter, because he, Jotham, would be dead within nine years, and so, apparently, would Zechariah. Uzziah, in the forty-second year of his reign (Viceroy from::3237 AM), foolishly tried to burn incense in the Temple of Jerusalem and was stricken with leprosy as a result. Uzziah spent the rest of his reign and life in quarantine. Therefore, at that time, Jotham had to assume the powers and duties of the crown. (2_Kings 15:5 , 2_Chronicles 26:21 ) In Ussher's chronology, Jotham was fifteen years old at the time (and thus only one year younger than his own father was when he began to exercise affairs of state). In Thiele's system he was already twenty-five years old, and was not merely a pro-rex but a true co-rex. The Bible credits him with right acts in the sight of the Lord. But it also says that he never attended any services in the Temple of Jerusalem (2_Chronicles 27:2 ) nor removed any high places. (2_Kings 15:34-35 ) Sadly, the people did not follow any of his right acts—perhaps because he did not provide a sufficiently inspiring public example. Jotham died at the end of a sixteen-year reign, at the age of forty-one. His son Jehoahaz I succeeded him. The sixteen years are actually sixteen Hebrew new years' days; Jotham marked his reign by the accession-dating method. Ussher gives a terminus a quo and terminus ad quem for Jotham's reign with sixteen years between them. Thiele, however, seems to suggest that Jotham reigned for eighteen years, a discrepancy that begs explanation. Furthermore, Wood states that Jotham installed his son Jehoahaz I as his viceroy while he himself was viceroy to his father Uzziah. ↑ 4.0 4.1 4.2 Authors unknown. "Entry for Jotham." WebBible Encyclopedia. Retrieved June 5, 2007. ↑ 5.0 5.1 Claiborne, Winford. "Uzziah, Jotham, and Ahaz." The International Gospel Hour. Transcript of program first broadcast on radio on November 2, 2003. Retrieved June 5, 2007. This page was last modified on 8 June 2010, at 02:09.